The rules are that the Illinois Prisoner Review Board (IPRB) can either approve or deny parole. If they deny, they also decide how long before the applicant can reappear. In prison slang, that time period is referred to as a “set.” Henry’s longest possible set is three years. In his many previous parole board appearances, they have always voted unanimously against parole and given him a three year set except for the last time when they also voted unanimously against but gave him a two-year set. This time, apparently, there were two votes in his favor and they gave him a one-year set. A double-murderer serving a life sentence was denied parole Thursday — but left his hearing with a couple of votes in support of release, a first for him. Henry Hillenbrand, 65, is serving 240-year and 150-year sentences for a pair of 1970 murders in Streator. Hillenbrand has stood for numerous parole hearings but never got a single vote in favor of release — until now. Thursday, the Illinois Prisoner Review Board voted 9-2 against release, marking the first time Hillenbrand gleaned any support for parole. He will be up for parole again in 2014. 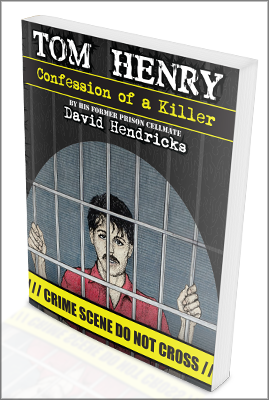 I’m sure Tom Henry would want me to thank those of you who wrote him and who prayed for him regarding his parole hearing.